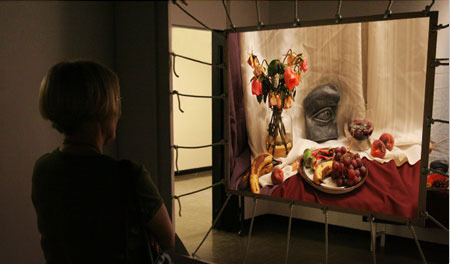 Vera Fainshtein is a contemporary California art practicioner and designer. She has received her BA degree in Design from UCLA and MFA in Digital Media Art from CADRE Laboratory at the San Jose State University. She currently teaches digital media, illustration and graphic design courses at two Bay Area community colleges.